I started Terrible Tumbles in 2013, which seems an unfeasible amount of time ago now… My earlier posts are standard nonsense with the attached poor-quality outfit pictures. This theme actually went on for a long time…! I started because I desperately needed a creative outlet. As someone who hadn’t had a hobby since leaving the Brownies, I felt like I had very little to do and even less to talk about. In fact, I don’t think I saw the benefit of writing for any other reason than this creative outlet until around 2016 when I actually recognised that I had followers and that they were following me for a reason. That’s when I started thinking more about the content I share across my social channels. When I first started, the thought of sharing anything (even just blog links) across social media pr horrified me. You are literally putting yourself and your thoughts out there for the world to appraise. As time went on, I started working with brands in ambassador roles, and recognised that I would need to embrace Twitter, Facebook and (most importantly) Instagram to not only keep myself in the game but to collaboratively support the companies investing time and finance in me. Seeing influencers like Danie Vanier and Georgina Horne amass huge followings whilst still maintaining their gorgeous personalities and, more importantly, integrity, was a real push to keep things moving. I really enjoy collaborations that include other influencers. 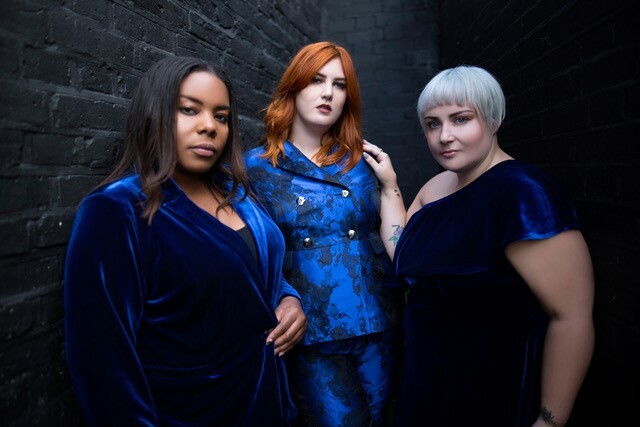 I recently worked on Navabi’s Style Collective campaign which involved three influencers, a photoshoot, interviews and features. The buzz it created was incredible. As influencers, the output was fresh content, new working relationships and a much higher reach than I would have achieved on my own. For the brand, buzz = sales, brand loyalty and some really fabulous product images, if I do say so myself!